Occupy Los Angeles News, Occupied Los Angeles Times, Occupy LA, Needs Your Support – Please donate $5 or more to keep us moving forward. Peace. [M1GS - STRIKE] – 5.1.2012 – Stay Home – Don’t Shop! 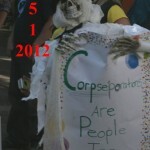 http://www.OccupyLosAngelesNews.org – We reserve the right to occupy the news wherever it is.